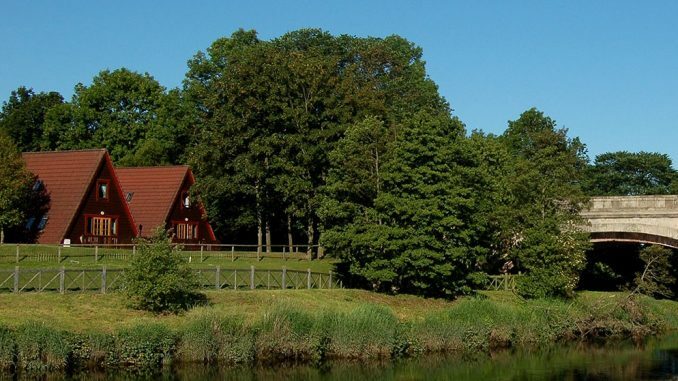 Used in Outlander season 4 episode 3 “The False Bride”, River Edge Lodges are used as the cabins where Bree and Rodger are staying while at the Carolina Scottish Festival. 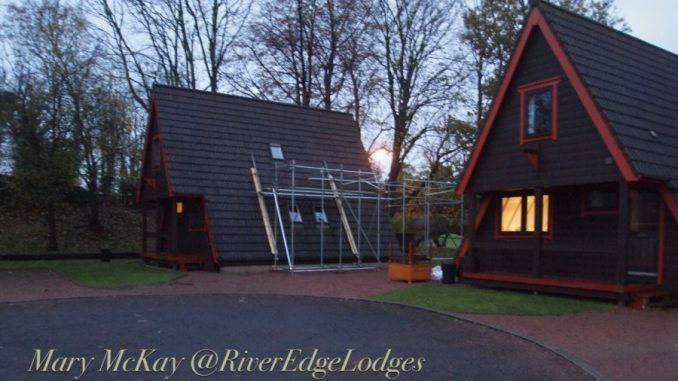 Located in Perthshire, not far from popular Outlander location, Falkland, these family run lodges are popular with tourists visiting the area. No doubt they are about to get an increase in business from fans of our favourite show. 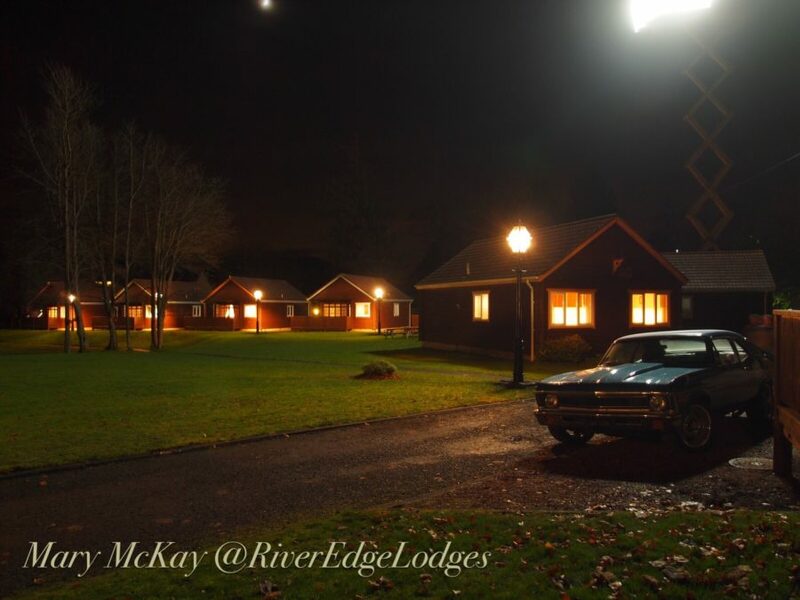 The owners of River Edge Lodges are big fans of Outlander. With the lodges being well located, near other Outlander locations, we imagine that they meet many like-minded customers. The whole park was hired out by the Outlander team for the months of November to December 2017. 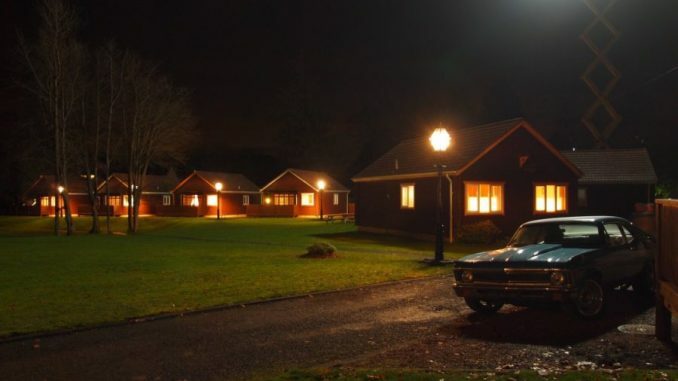 The two A-frame lodges, were the main focus, one acting as the stars’ ‘green room’, and the other being used for filming. 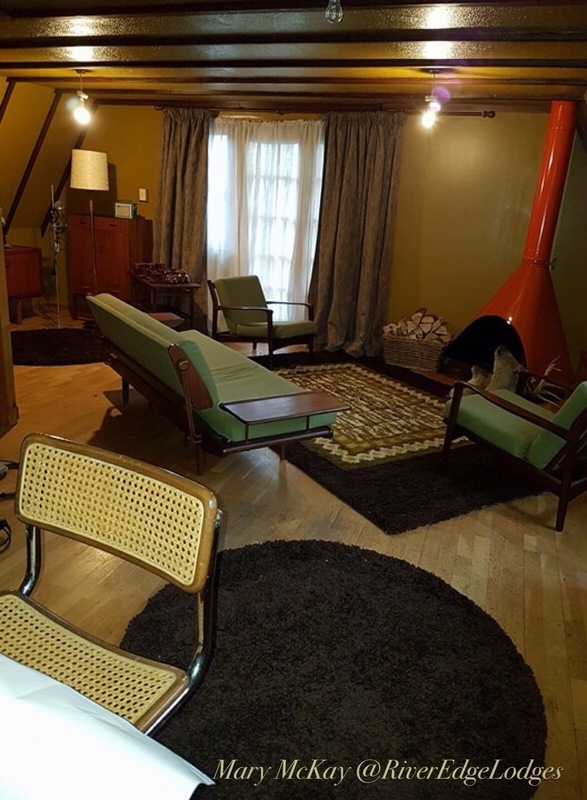 For filming, the whole of the lodge’s interior was completely transformed. 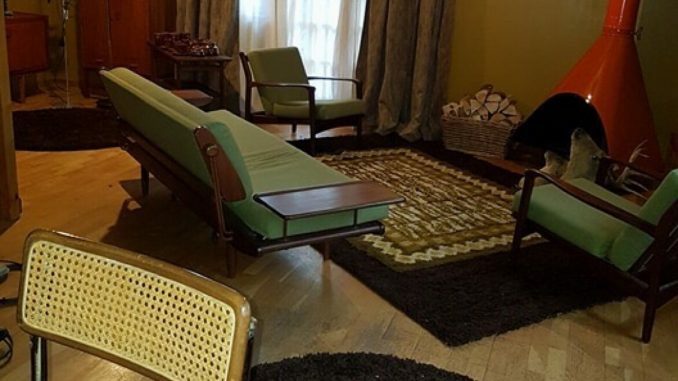 Tables, chairs, curtains and all the furnishings were replaced with items that looked as if they were from the 1970s. As is typical, the crew seem to have done an amazing job. Located 3 miles south of Perth, the River Edge Lodges can be found just west of the M90 road. 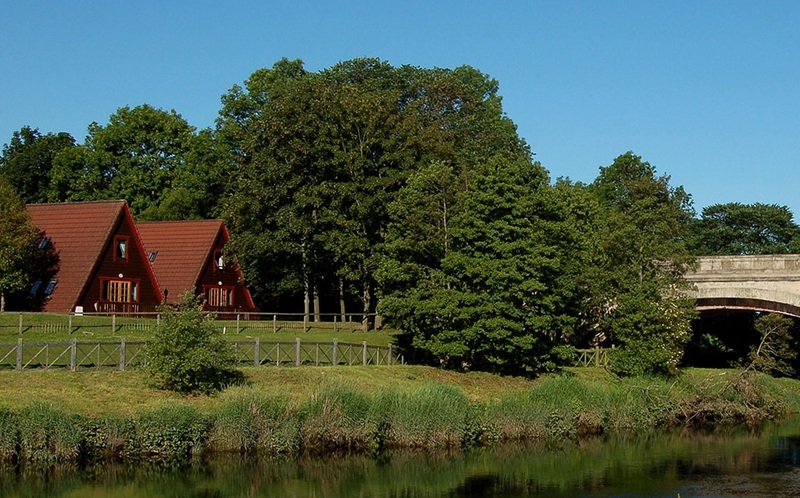 An easy car journey from Perth or Edinburgh will bring you to this lovely resort. From Edinburgh : Head out to the Queenferry crossing. From there drive north along the M90. Leave the motorway at exit 9 and follow signs to Bridge of Earn and River Edge Lodges. From Perth : Drive south along the A192, followng signs for Bridge of Earn. Alternatively, use the M90, using exit 9 as above. * Because this is an operating resort, we ask that all visiting fans please be considerate of all staff and residents.